**This is a sponsored post written on behalf of Catholic Central. All thoughts are 100% my own. Valentine's Day is just around the corner and that has a lot of us thinking about the big romantic gestures in our relationships. February is commonly known as the month of love, where we celebrate the life of Saint. Valentine who is the patron of love, young people and happy marriage. 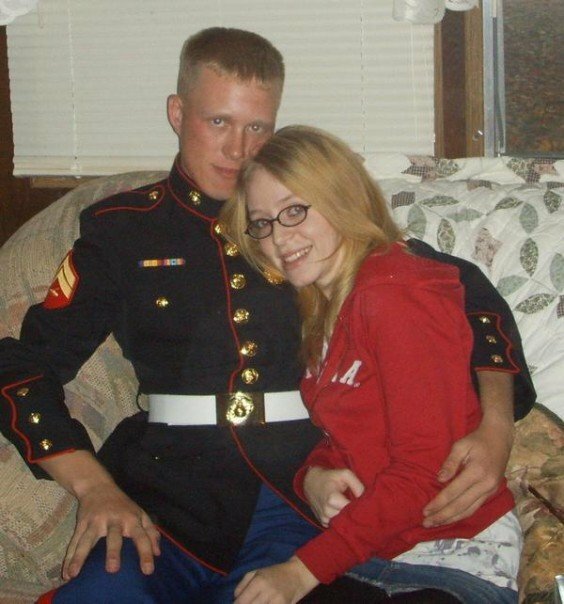 My husband and I first met online through his sister via Myspace. We started talking while he was deployed to Iraq, and fell in love pretty quickly. Before ever having been in the same room, we were already planning a wedding. After months of our long distance relationship, it was time to meet. My would-be-husband decided to make the occasion even more memorable. Knowing my love of Disney princesses- and especially Cinderella- he showed up looking ever-so princely in his dress blues, carrying a rose and a glass slipper. 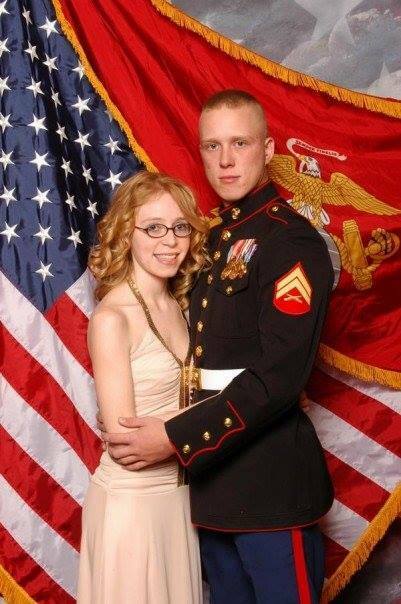 A few short weeks later, he whisked me off to the (Marine Corps) ball. Ah, yes... can you get any more romantic that that? With such a track record, kinda makes you wonder just how big we go for Valentine's Day--- the most romantic day of the year--- doesn't it? To be honest though, most years we really don't do too much. Maybe a dinner out or a dinner in or some flowers... but nothing too fancy. When you nail it with that first meet, you just can't go up from there. Still, there is one year that came pretty close. When we first started talking about marriage, the topic of rings naturally came up. So I told my then would-be husband I wanted a ring from Tiffany's. Let's be clear--- I do love Tiffany's and DREAMED of having something from there one day, but I'm much more practical than that and he knew it...I was only messing with him. But he listened. A few years into our marriage, during his yearlong deployment, hints began leading me to believe that I'd be getting something from Tiffany's... for real this time. Sure enough, a little blue box came with a simple heart necklace. I loved it. The next day, a bouquet of roses with a note reading, "And you thought it would come in a little blue box." Ah, the best laid plans... sometimes don't quite work out as planned. You see, the necklace actually arrived earlier than it was supposed to. 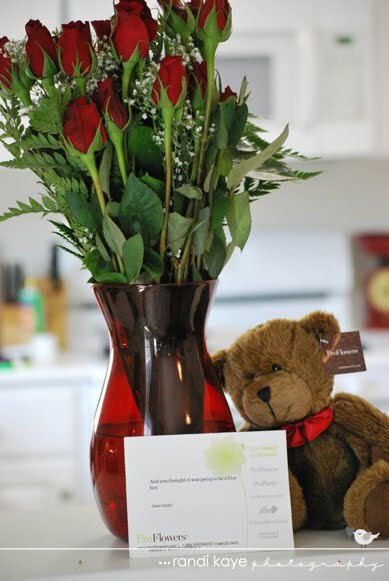 The roses were supposed to arrive BEFORE the necklace- a little misdirection to throw me off! Oops! Still, I loved the thought behind it, and it remains one of my favorite stories. Not because of the fancy jewelry or the roses, but because of the thought behind it...it wasn't a random gift but something picked out because of a conversation years earlier. It was a gift that shows that he had been listening and remembered that silliness too. At the end of the day, that's really what Valentine's Day is all about- not the candy, not the gifts--- but celebrating LOVE! That doesn't have to be fancy, or expensive... but whatever that might mean to you. 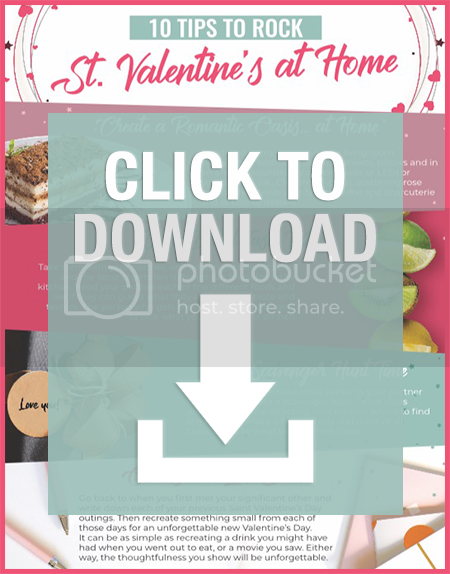 To help inspire you, Catholic Central has put together '10 Tips To Rock St. Valentine's At home'. It contains simple things you can do at home to show appreciation to the one you love without having to spend every penny in your savings account! (That's my kind of celebrating!) It also includes some cool facts about the “whys” and history behind some of the most time-honored Saint Valentine’s Day traditions! What a great love story! You both look very happy. I just love this story! So romantic. Mine is very similar.